In coming to Ireland I had hoped to encounter more local made music than I have had the opportunity to in the states. There are plenty of resources back home for finding more popular Irish or super-groups (which often form in, come out of or live in America) but there is little one can find of the local artists of Ireland in the States. Having been here before, I was aware this wasn’t the easiest task. But, I expected to find an easier time of it than I had previously, since I would be living here in Cork which is said to be the “Culture Capital of Ireland." While local gigs and sessions are somewhat easy to find, these musicians do not always consider themselves "serious" and often perform largely covers. I had really hoped to find original work and so turned to the radio. I had hoped that Irish radio would be somewhat different than back home. I rarely listen to radio in the states because I find little pleasure in the standard top 40 hits of various decades being played over and over again, until the next fad comes along. That’s not say I dislike all songs on the radio. But I certainly had hoped to find more variety here but found instead the standard Lady Gaga, Ke$ha, Taylor Swift and so on. 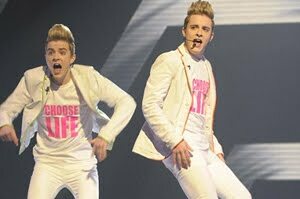 Granted, Ireland does have its own pop radio sensation that seems to have taken over a good portion of the nations attention (largely in the population of young girls) in Jedward, whom I personally am not fond of at all. Aside from this and some U2 and Thin Lizzy, I heard little Irish-made music being broadcasted. I was disappointed. I wanted to experience more of what was going on creatively in Ireland through an easy to access resource such as the radio. I later learned the disappointing reason for this lack of Irish-made music though. Ireland radio stations are only required to play three percent of Irish-produced music and the stipulations for “Irish-produced” are thin. Any album produced, recorded or engineered in Ireland falls within those guidelines, which means stations can use more popular bands that have happened to have work done here in Ireland. I find this sad and oppressive to the Irish Musician. If they can’t break their act in Ireland, where can they? Sadly, that answer I have already seen the result of in my own Irish musician friends who immigrated to America to find more success. And it perhaps was not their skill, though they are all wildly talented and gifted musicians, but the novelty of their background that makes them a successful commodity. I have, in fact, had much the same experience here with my own music. While I am aware I am gifted and have strong, unique voice, people tend to be more interested in the fact that I am an American playing and writing in the Traditional style (not exclusively, but often). I myself appeared on the local Cork 100.5 FM radio as a guest performer to be interviewed on my recently being awarded in Cork Folk Festival’s Deaglan Tallon Traditional Songwriter’s Competition for my original composition, “Arthur O’Leary.” While the song is well crafted and is written very strictly in the traditional style, it seemed to be of more interest that I was from California and performing all the way over here in Ireland. It made me curious if this three percent stipulation was built around the interests of the people or if the interests of the people are created by this stipulation. If radio stations here were to begin playing more Irish-made music, would it be received with as much excitement when it lacks an "exotic" novelty? There are petitions to change this percentage, as it is a shockingly low requirement compared to other countries through out the world. And, it is a possibility that this petition could create serious change in the way Ireland experiences music and therein how musicians experience success. Perhaps, if Irish acts can break-free in their own country, the world will begin to hear more of the great musicians that struggle to make their way here. While it is a possibility that the lack of foreign novelty and "glamour" may turn the public off, none of us will know what is possible until we try. I appreciate my opportunity to perform on local Cork FM’s radio during my stay here in Ireland that I might share my music. I hope that more local musicians will have that same opportunity I have had. The grass should never be greener on the other side, we should be cultivating opportunity and "green grasses" in our own respective communities.